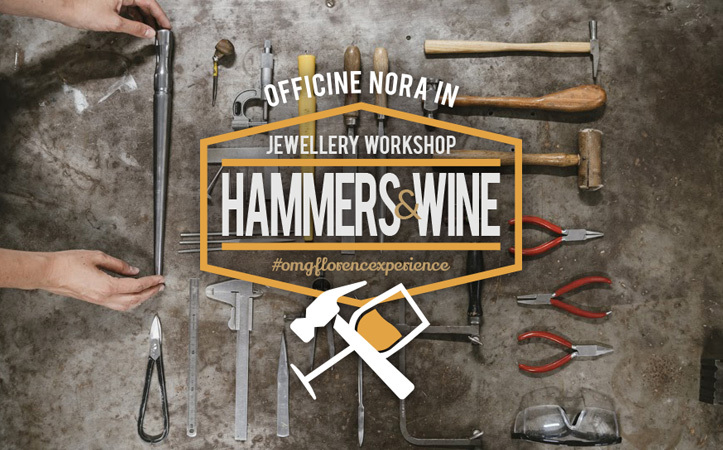 Hammers and Wine - OMG Florence! SEND US AN e-mail WITH THE DATE AND TIME YOU PREFER TO BOOK YOUR PLACE! Florence has a long history of craftsmanship in particular, goldsmithing and jewellery making. In this workshop OMG Florence! will introduce you to the new, but oh-so-old world of contemporary jewellery. Learn by doing the basic jewellery making techniques: design, cutting, filing, hammering, punching and finishing. 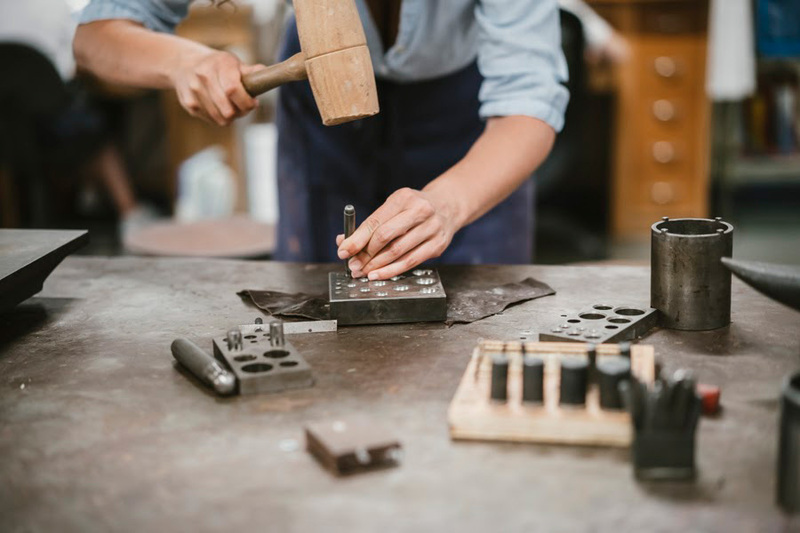 At the end of the workshop you’ll feel confident handling basic tools and techniques and go home with a unique piece of fine contemporary jewellery made by you! 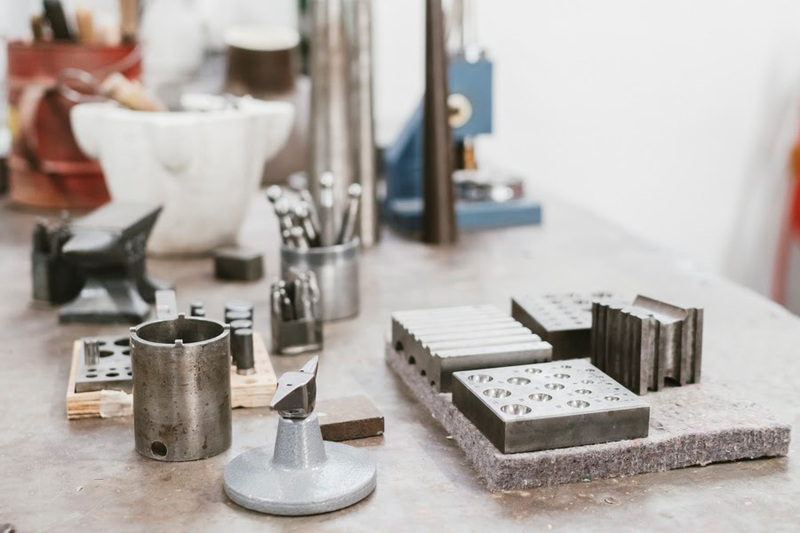 We will start with a tour of the laboratory and co-working space followed by a brief introduction to the various techniques for metal working from traditional to innovative with examples of applications. 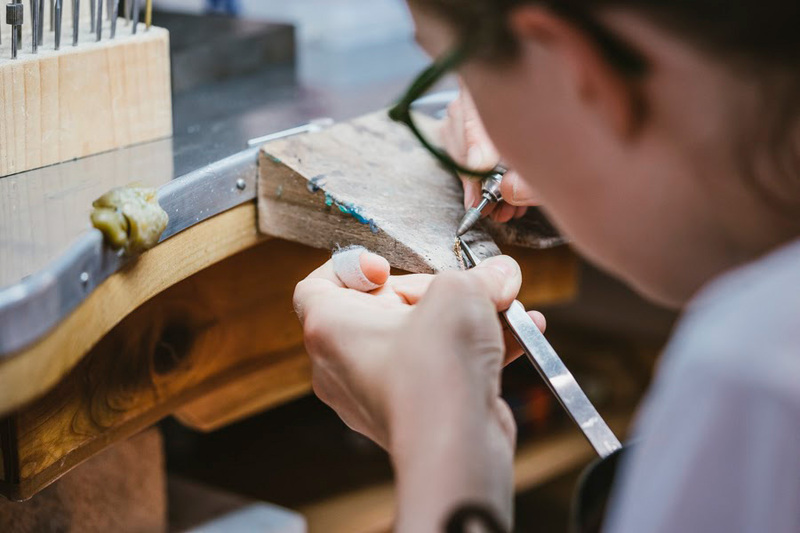 Then put on your work apron and be guided through the creation of a piece of jewellery of your choice between a pair of earrings or a pendant. All materials and tools are included and will be provided by Officine Nora. Jewellery pieces will be made with sterling silver. Once the work is done, we’ll celebrate our creations and get to know each other over a bottle of good wine*provided by a local Oltrarno establishment. Hammers & Wine is suitable for anyone who is curious to uncover what is behind the curtain of the goldsmithing world. No prior experience is required. Just come ready to push up your sleeves and learn how to use a jewellery hammer! The main language of the workshop is English, Let us know if translation in other language is needed, in that case an additional cost will be charged. Hammers & Wine is an activity designed for men and women of 18 years of age or older. Here are some ideas to get the best of the workshop: You can organize an unforgettable birthday celebration with your friends, have an integration or team-building activity with your office group; you can make the workshop with your mom or a friend that has come from far away to visit… Anything you can think of, just let us know and we’ll let you know if it’s possible! In case there are extra services we’ll send you a quotation. For large groups contact us via email. Workshops will be activated with a minimum of 1 participant up to a maximum of 20. 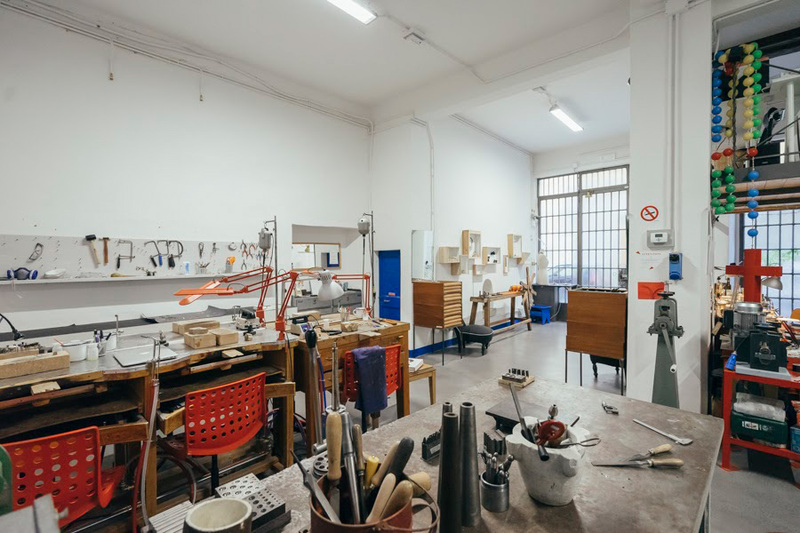 Officine Nora is set in the space of a former precision mechanic’s wokshop, renovated and rearranged for the needs of contemporary jewellery artists. It’s located in Florence’s lively and central neighborhood of Santo Spirito, traditional home to artists and craftsmen but also to new creative small businesses. NORA’s community is always changing, with local and foreign residents making Florence their home and international visiting artists all sharing a great opportunity to exchange their skills and perspective. Booking is easy! Choose the date you prefer, click and pay the downpayment through paypal or a bank transfer. THE PAYMENT IS A PARTIAL PAYMENT, THE REMAINING AMOUNT MUST BE PAID CASH ON THE DAY UPON ARRIVAL AT OFFICINE NORA BEFORE THE BEGINNING OF THE WORKSHOP. We can arrange a date specially for you. Please CONTACT US indicating your preferred dates, schedule and number of participants. We’ll get in touch soon! You can pay via Bank transfer (see the REGISTRATION FORM) or Paypal (don’t need a Paypal account to pay).